Priced to Sell and Lowest Price in the Marina. 50 foot Liveaboard Boat Slip available in the extremely desirable Lorelei Restaurant's Islamorada Yacht Basin Marina! New building just constructed with showers, bathrooms, laundry facilities and ice! Walk to Lorelei, Islamorada Fishing Club, and other great restaurants and stores! 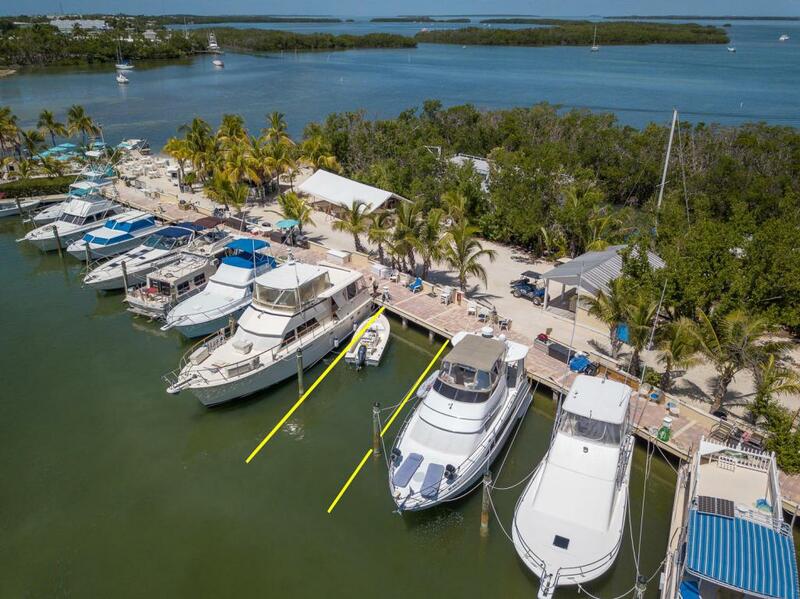 This is the marina slip you have been waiting for in Islamorada! Please see the documents section for detailed information on the Slip and the Association. Listing courtesy of Aryl Robison of Re/Max All Keys Real Estate.